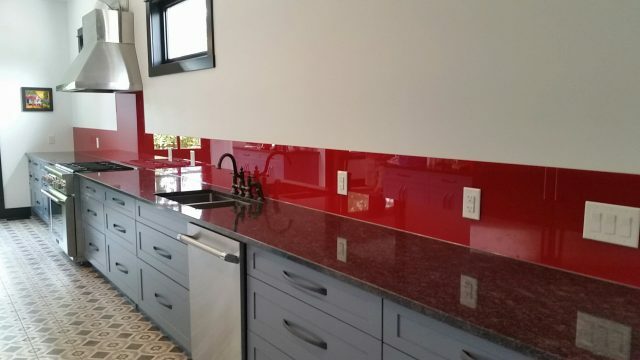 A coloured glass backsplash is a unique and sophisticated look for your kitchen or bathroom. A back-painted glass uses ultra clear, low-iron glass, so the colour you specify is the colour you see. What’s even better about this exciting product, is that we can custom colour match to any colour you desire. Glass backsplash is available in: opaque, metallic and pearl finishes. We can custom color match to any major paint supplier.